The Titanic Museum in Belfast Northern Ireland is an impressive architectural site. Giant’s Causeway, located in County Antrim on the north coast of Northern Ireland was another interesting location for the Rockland group on their trip to the British Isles. Edinburgh Castle was a favorite attraction for the Rockland group in Scotland. Over this April Vacation, alongside the Guatemala Trip, other RHS students and staff traveled to England, Ireland and Scotland. The trip consisted of 46 students chaperoned by six RHS faculty members. According to the leader of the RHS Travel Club, Kristen Walsh, everything went well. She said, “[The kids] had good attitudes, were open minded.” She also reflected upon the awesome tour guides they had that were funny, yet extremely informative about places and history that might be unfamiliar to most students. Ms. Walsh said the crowd favorite was probably Edinburgh in Scotland. She explained that the city was very different from the ones we are used to here. In Scotland, they visited Edinburgh Castle. They also spent four days in Ireland: two days in Northern Ireland, as well as two in Dublin. In Northern Ireland they spent some time at Giant’s Causeway, a formation of rocks the students had the opportunity to climb.Ms. Walsh explained she thoroughly enjoyed the tour guides who discussed subjects like the problems and conflicts that have taken place in the country, and made them funny and enjoyable to learn about. It was an enjoyable trip that also gave cultural and historical lessons to the Rockland High School students. The track teams this year are hoping to have a successful season, especially with the large turn-out they had. Last year both the boys and girls teams finished the season with three wins and five losses. 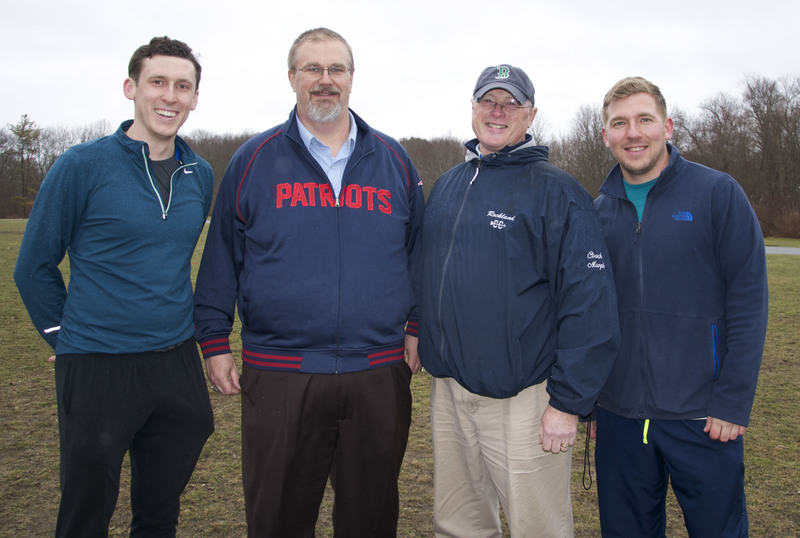 The coaches this year are Robert Murphy, Randal Grimmett, Mark Killinger, and Patrick Finn. “I’m really excited about this year’s team. We have almost fifty girls signed up so far, which is a lot more than we’ve ever had before. We also have a good number of returning athletes, so I expect that we will be very competitive in the South Shore League,” says Mr. Grimmett. With the large turn-out, the coaches’ task in finding the right events for everyone could be a little more difficult. Getting ready to board their plane from Boston on April 15 are the twelve Rockland students who spent their April vacation on a service trip to Guatemala. Left to right are: Jake Leander, Dana Peck, Natalie Draicchio, Grace Oliver, Mo Youssef, Stephanie Blaney, and Matt Rocha. Front l to r: Sabrina Sprague, Olivia Soletti, Hope Geary, Saoirse McNally and Renata Batista. Courtesy photo. Students got to participate in a traditional Mayan ceremony during the week in Guatemala. Mayan Shaman, Byron Rabe is shown in an ancient cave. Photo courtesy of Amanda Lanigan. On a day that was supposed to be a free day Rockland High students opted to work. Here one group went to Santa Catarina where they delivered water filters to one family. Left to right are Matt Rocha, Natalie Draicchio, Renata Batista, Sabrina Sprague, Mo Youssef and Dana Peck. photo courtesy of Mr. Connors. photos courtesy of Amanda Lanigan, Melissa Shaughnessy and Gregory Connors. Click on one to see the gallery. Over April Vacation, a group of fifteen RHS students and faculty went on a service trip to Panajachel, Guatemala. 12 students along with their three chaperones: Melissa Shaughnessy, Amanda Lanigan, and Gregory Connors embarked on the trip Saturday, April 15 and returned Saturday, April 22. On this trip, the students and staff worked along side a program called “Worthy Village” to teach impoverished families how to filter water. The program was started by 2011 RHS alumni, Julia Rayberg. Their mission is to help the people of Panajachel who rely on one lake where they wash their dishes, clothes, and even bathe making it contaminated and unsafe to drink. In Guatemala, the students gave villagers advice and methods on good hygiene as well as supplies. They also showed the villagers how to use the water filters, provided by Worthy Village. Lauren Rizzotti is in her fourth year as the coach of the girls’ lacrosse team at Rockland High School. That is exactly how long there has been a girls’ lacrosse team at RHS. `In four years they have come a long way. The first year they were a club team, and the squad has only been a varsity team for two years. Despite their youth and lack of experience, the coach enjoys her team and says that they enjoy playing. “The strength of the team is how much they all truly enjoy playing. 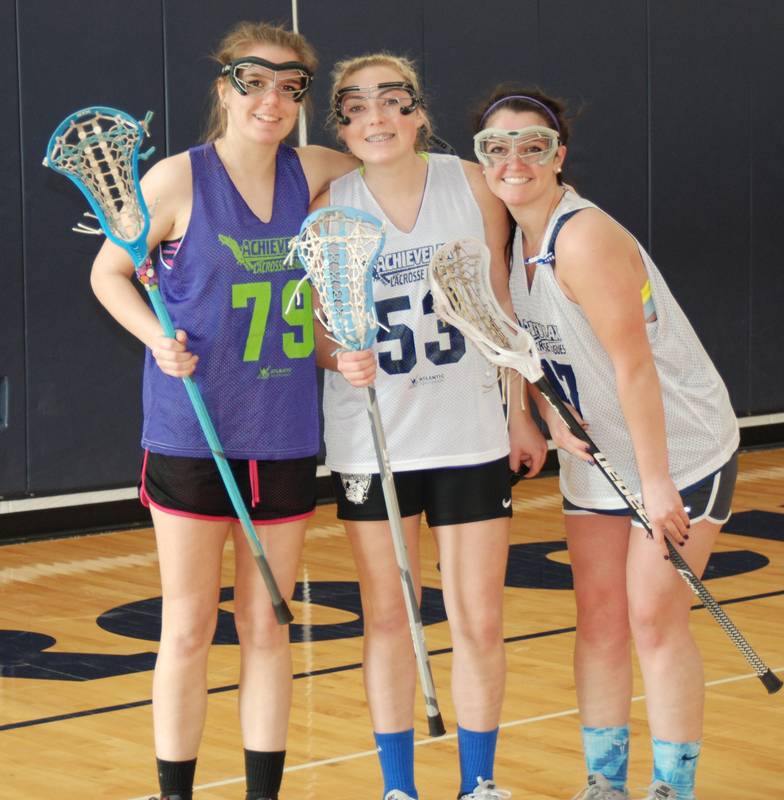 They aren’t playing because they have to, or they are getting in shape for another sport, they are playing because they find it fun,” says Coach Rizzotti. Their inexperience does show, however, and the hardest part is playing against teams that have established programs from the youth leagues up to the high school level. “We are playing against teams who have been playing for years, and they play during their off-seasons. My players are brand new a few years ago, and any new players coming in are learning from scratch as well. 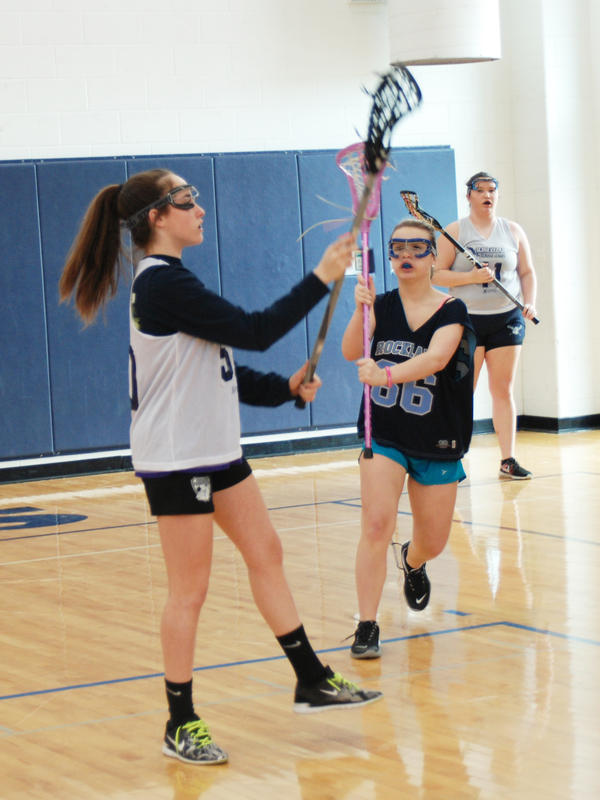 It makes it very hard to keep up with the other teams,” says Ms. Rizzotti. But the girls have goals and one of them is to improve every day. “Every practice we focus on improving one more thing and to continue to work on the basics such as catching and passing in order to really compete,” explained the coach. And with that goal comes the most important one for the team. “The number one goal this season is to leave everything on the field each game,” says the coach, who explained how they lost several games last year by only a few points. 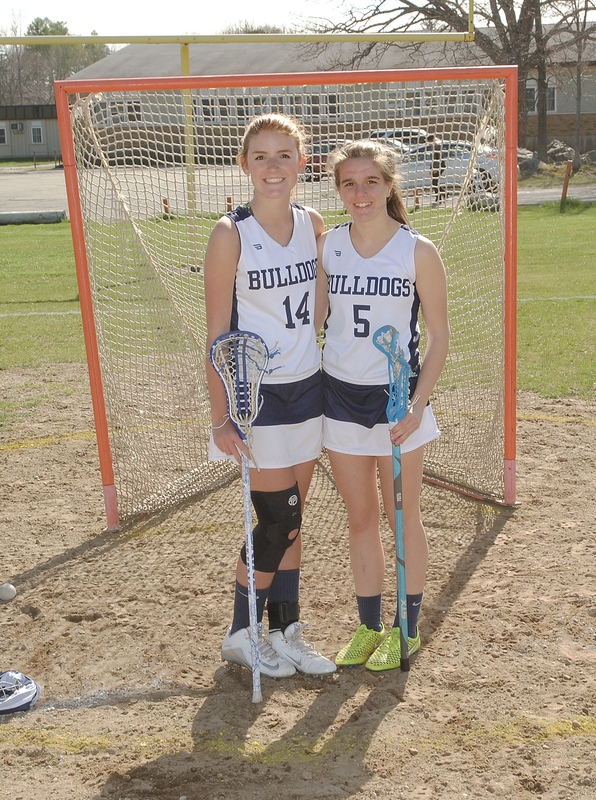 The girls opened the season on Monday, April 3 at Southeastern Regional High School and came away with a 17-4 victory. Their next game will be on Monday, April 24 against Silver Lake at home. They will then be at Abington in the first game of a doubleheader with the boys’ team. The girls will be going on at 5:00 and the boys will follow at 6:30. 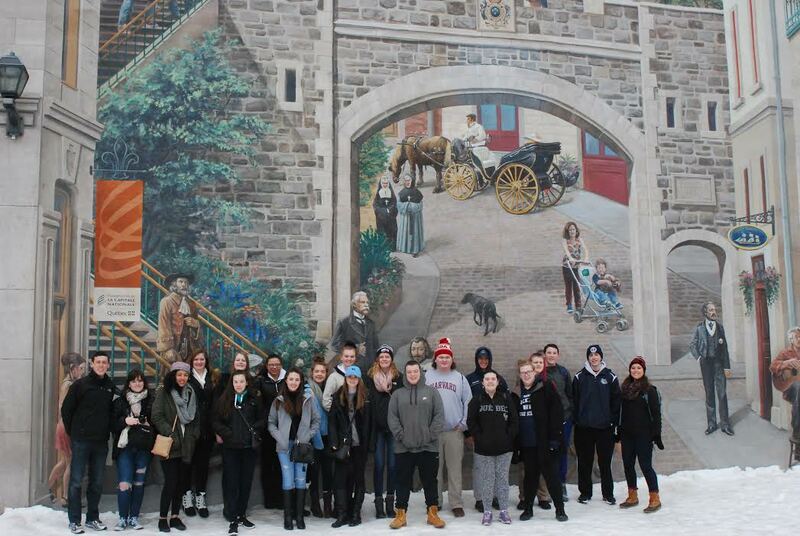 A group of 20 students and two teachers left on a three day trip to Quebec, Canada on March 31. Mr. Finn, a French and Spanish teacher, organized the trip to introduce his French students to the French-Canadian culture. He even had some of his Spanish students join the trip. Ms. Lanigan, a history teacher, chaperoned as well. The group arrived home on April 2 at around 9:30 p.m. When they arrived in the city, the group was brought on a two hour tour of the city and introduced to many of Quebec’s beautiful buildings: the Grande Alee, the Latin Quarter, le petit Seminaire de Quebec, Norte Dame de Quebec Cathedral, and the Terrasse Defferin. At the end of the tour they had a Parisian- style dinner where they had two options for food to choose from, and chocolate cake for a dessert. Later on that night they took a group picture in front of the Terrasse Defferin and headed home to sleep and get ready for the next day. On day two the kids were taken to breakfast in the Quartier Petit Champlain. They had fruit, a freshly made croissant, a chocolate pastry, and a bowl of hot chocolate. They were then taken to a nineteenth century fortification where they learned about how the soldiers lived in there and reanacted some things. The group then went to a very large mall where they had an hour to get lunch, shop a little, and use the indoor amusement park. For dinner that night they went to a place called the Sugar Shack. Outdoors there were piles of snow, snow tubes, sleds, and snow shoes for everyone to use and have fun with. On the inside there were rows of tables and many people excited to eat. Two men played music and everyone sang along and danced. The trip was a success. The group learned about the culture of a French- Canadian city and met new people along the way. Photos below courtesy of Mr. Finn. The group looks out over the river. Left to right back: Elizabeth Kelley, Maryn Manett, Sammi Nachtman, Olivia Milso, Lara Glennon, Catherine Doyle, Hannah Wyllie, Jessica Dunphy, Sarah Milks, Tatiana Hill, Katie Hoode, Kerin Dalton, Emily Bugbe, Matt Griffin, Leo Field. Front: Jacob Nunn, Jacob Johnson, Nick Labolltta, Kyle Lenihan. The 2016-2017 Rockland High School cheerleaders capped off a spectacular year with a special night at Fenway Park on April 11. As part of Champions Night, the girls were honored before the Red Sox game with Baltimore. 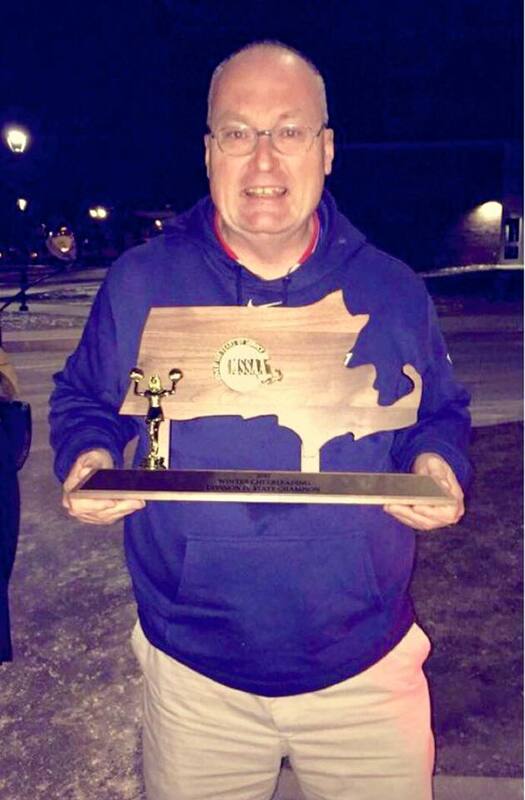 Rockland High School custodian Peter Tolan, who is also an usher at Fenway, paved the way for the girls to be recognized. The cheerleaders won the Division 4 State championship this past winter as well as the 2017 New England Championship. Along the way they also won the South Shore League title, the Southeast regionals and numerous invitational tournaments. The girls got a special ride in a limo to Fenway and were also treated to dinner at the Bullpen Kitchen. Over 80 family and friends attended the game and sat in the bleachers. The Sox won the game 8-1, sending everyone home happy. Reardon has coached the team for 10 years. In that time the cheerleaders have won seven state titles and nine league championships.